DRAFFENVILLE COMMERCIAL LOT-APPROX. 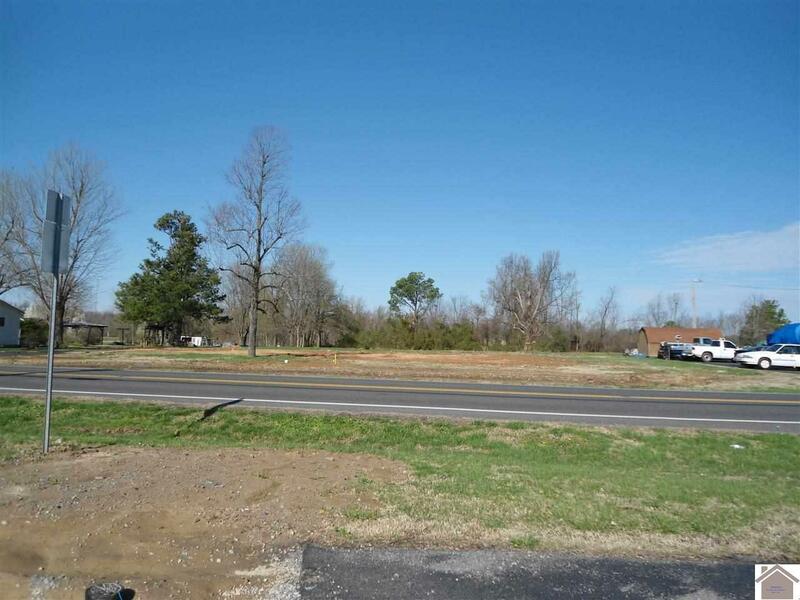 170' OF HIGHWAY FRONTAGE ON HWY 641 JUST SOUTH OF THE HWY 68 & 641 "Y" ON THE WEST SIDE OF HWY 641-PERFECT FOR FAST FOOD-APARTMENTS-MINI STORAGE-BOAT STORAGE-RV STORAGE-OFFICE BUILDINGS--A SEPTIC SYSTEM STILL ON PROPERTY-BENTON GAS-NORTH MARSHALL WATER-JPECC-MEDIACOM-ATT&T ALL AVAILABLE AT PROPERTY-FUTURE PLANS FOR COUNTY SEWERS IN PROCESS-APPROX. 1.1 ACRES PER OWNERS. DON'T MISS OUT ON A GREAT OPPORTUNITY. THE POSSIBILBILITIES ARE ENDLESS! Listing provided courtesy of Marianne Lynch of Re/Max Real Estate Associates.